UK Hockey finishes with the best record in school history. Cats are back from a long road trip. UK stands at 8 wins and 1 loss on the season and has out scored it's opponents 59 - 9. Friday night saw a great home matchup against Louisville. After 60 minutes of play and 5 minutes of overtime, the game was still tied. It took a shootout to finish the game. UK was able to dominate the shootout and take the win. Saturday was a different story. UK traveled to Louisville where the cats dominated the game from the start. Jimmy Kasch scored the first of his 3 goals 18 seconds into the game. Kentucky never looked back in their 4-1 win on the road. UK has a weekend off before they travel to Raleigh, NC for a series of games against the ACC. Courtland Eble's game photos from Friday nights Louisville game. 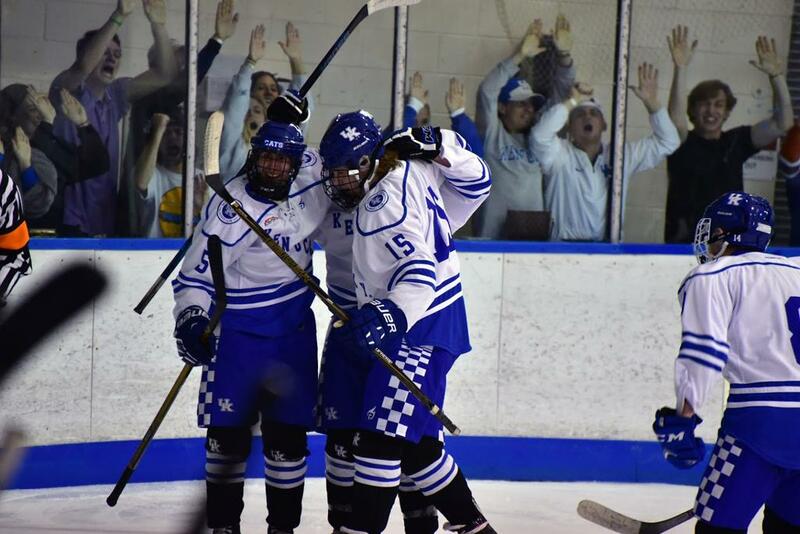 The University of Kentucky’s first ever Men’s Club Ice Hockey team was formed in 1984 with the assistance of Frank and Karl Gdovka. Terry Pelto served as the team’s first head coach with Mark Shupe serving as the first general manager. The team initially joined the Southern Collegiate Hockey Conference (SCHA) in 1987. In 1989 and 1990, the team won back to back SCHA Championships. The 1990 - 1991 season proved to be unprecedented for the Cats with the team only losing one game. During the 1991 -1992 season, the Cats were ranked #1 by the American poll and were invited to the National Tournament. Unfortunately the Cats lost to Toledo in the Championship game. In 1993 - 1994 season, the Cats had a National ranking of #3 and went 18-1-1 in the regular season but lost to Colorado State in the semifinals of the National Championship. In 1995 the Cats were again invited to the National Tournament for the second straight year where they made it to the final four. For the 1995 - 1996 season, the Cats joined the Midwest Collegiate Hockey League (MCHL), arguably one of the toughest leagues in the country. The Cats continued to have winning seasons in the MCHL. The 1998 – 1999 season marked the first ever UK hockey poster which featured UK Alum Ashley Judd. Through 2002 the Cats maintained a 15 year streak of winning seasons. 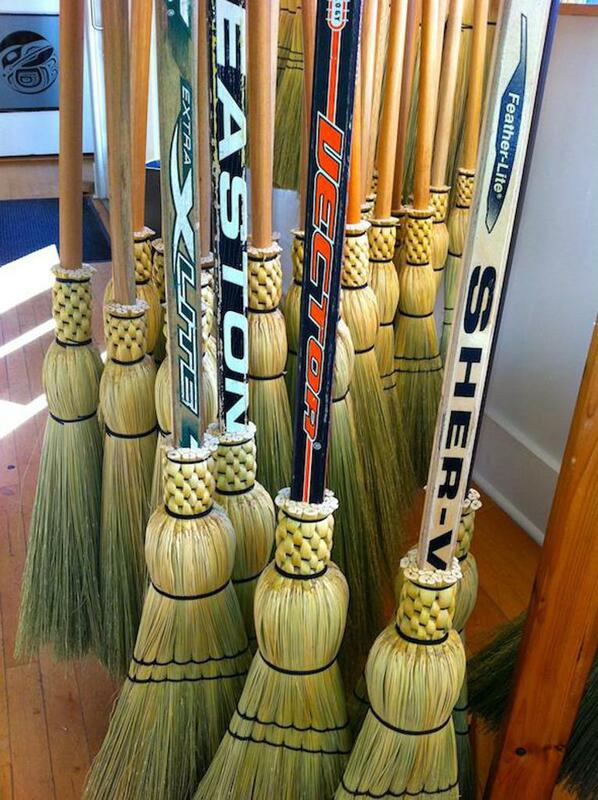 Unfortunately that streak was broken during the 2002 – 2003 season. However, after some coaching changes, the program turned around for the 2004 – 2005 season and posted a 20-14-1 record. In 2006, the Cats came up just one game shy of a return to the National Tournament. All home games are held at The Lexington Ice Center. Ticket price is $7 and can be bought at the door on game night. ©2019 University of Kentucky Hockey / SportsEngine. All Rights Reserved.